Repave your road to recovery. The primary goal of Guiding Paths Counseling is to provide the most effective therapeutic experience available to you. The purpose is to help facilitate behavior change by improving the client’s ability to establish and maintain relationships, enhancing the client’s effectiveness and ability to cope, promoting the decision-making process and facilitating client potential and development. Clinicians cannot fix other people’s problems; our job is to provide a safe and supportive environment that allows the individual an opportunity to build the necessary skills needed to make better choices in their life. Guiding Paths Counseling provides substance use and mental health services for teenagers, adults over the age of 18 and family members impacted by addiction and mental health issues. These services include individual, group, family and couples counseling. Offering individual, group, family and couples therapy. Every client is different and every client is seeking therapy for various reasons. My goal is to provide the most effective treatment possible based on your needs and expectations, however, successful therapy is largely determined by how much work you are willing to do in the therapeutic process. In group therapy we feel supported by our peers and by people who are experiencing some of the same thoughts, feelings and behaviors as we experience. All group members have the ability and capacity to learn from one another and I provide a safe and caring environment for clients to do this type of work. 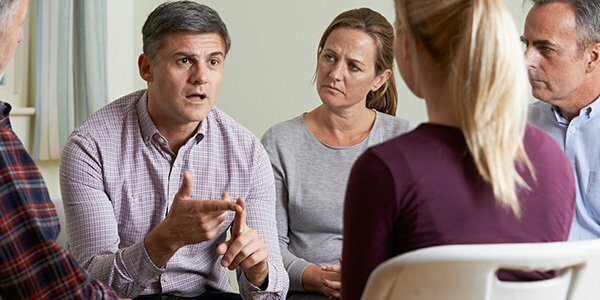 One of the goals of family/couples counseling is to identify the needs of each member and to find a constructive way to communicate those needs. It is imperative in the therapeutic process that each client feels safe, supported and listened to. As a therapist, I do not take sides; instead, I ensure each individual in the family unit feels heard. Guiding Paths Counseling offers clinical drug testing through an independent laboratory, Precision Diagnostics. Clinical drug testing is primarily used to track clients’ alcohol or substance use levels. This is a valuable tool in therapy as many clients feel they are being held accountable. This type of laboratory testing is accepted by the court systems. Precision Diagnostics uses NextGen Testing which is a higher standard for LC-MS/MS testing. NextGen testing has lower drug cutoff levels so drugs can be detected at lower thresholds. Precision Diagnostics analyzes the specimen and provides a detailed report. Both urine specimen testing and oral fluid testing are utilized. I am an approved supervisor by the Maryland Board of Professional Counselors and Therapists to both Licensed Graduate Professional Counselors (LGPCs) and Licensed Graduate Alcohol and Drug Counselors (LGADCs). The goal of supervision is to provide new therapists the ability to develop therapeutic skills and to create their own style of counseling. I offer 60-minute individual supervision sessions once a week. More frequent sessions or sessions that are longer in duration may be available upon request. Group supervision can be offered, however, this is contingent upon the number of participants interested in this service at the time. If you are in need of supervision hours, please feel free to contact me and we can setup a time to discuss your supervision requirements. As a Licensed Clinical Professional Counselor, I approach therapy from a cognitive-behavioral perspective. 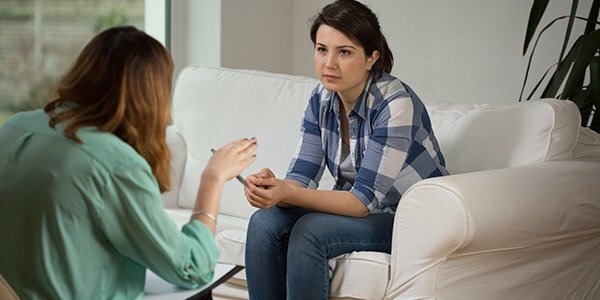 Cognitive-behavioral therapy (CBT) is based on the idea that our thoughts (cognitions), how we feel (emotions) and how we act (behaviors) are all interconnected. Psychological distress occurs when people have negative and unrealistic thoughts and, in turn, this can lead to negative behaviors. CBT aims to help people identify these negative and unrealistic thought and behavioral processes so they can begin to develop alternative and realistic thoughts and behaviors in order to reduce psychological distress. Although I am more CBT oriented, I do provide an eclectic approach based on client needs. I have various tools that I can use within therapy to customize to the uniqueness of the clients I serve. Some of these tools include cognitive-behavioral techniques, experiential exercises, goal setting, homework assignments and including family members in the therapeutic process. Studies have shown that successful therapeutic outcomes are related to the quality of the therapeutic relationship between a clinician and client(s). I am committed to providing you with a safe and caring environment in which we can address your concerns. I am a Licensed Clinical Professional Counselor (LCPC) that has been providing individual, group, family and couples counseling for over 6 years. While working toward my Master’s Degree, I began working at Phoenix Health Center as a substance use counselor helping clients in need of medication-assisted treatment. Once I received my Master’s Degree, I transferred to the Frederick County Health Department where I continued my work for three years. During my time at the Health Department, I became a National Certified Counselor (NCC), which demonstrates that I have met national standards for the practice of counseling and it is considered a premier certification in the counseling profession. In 2015, I began working for Wells House at Gale Recovery as a Clinical Supervisor and had the opportunity to develop their Intensive Outpatient and Outpatient program from the ground up. During this time, I became a Master Addiction Counselor (MAC) and a Licensed Clinical Alcohol and Drug Approved Supervisor. I am also able to provide supervision to Licensed Graduate Professional Counselors as I became an approved LCPC supervisor in 2017. Call or email for a free phone consultation. We will be in touch with you within the next 2 business days.